The Sakhalin 1 field is located off the island of Sakhalin at the eastern end of Russia, just north of Japan. The area contains huge volumes of oil and gas. 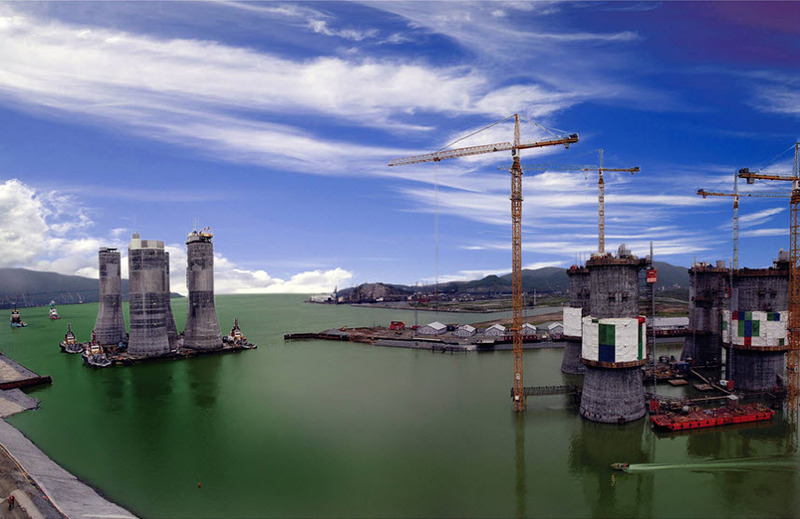 The Sakhalin-1 GBS is the third in the sequence, and currently the last of the concrete platforms to be installed there. The two previous platforms were also built by Kværner and designed by the same engineering companies. 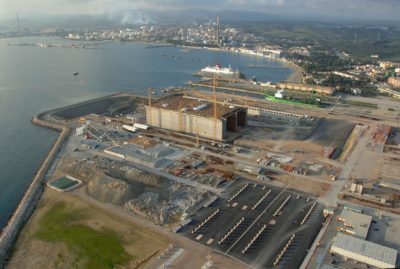 All the engineering design work was performed by a project team in an office in Oslo, while the construction work was performed in a dry dock north of Vladivostok. 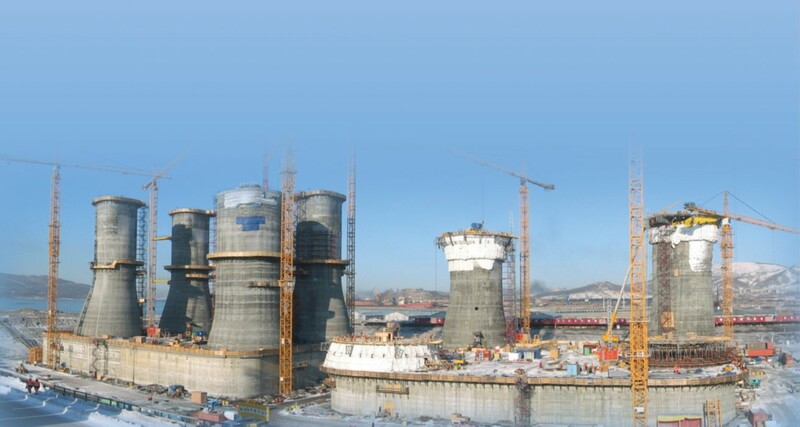 The huge distance separating the design and construction teams was in itself a challenge but was tackled successfully with the extensive use of electronic communication via media such as email and Skype. 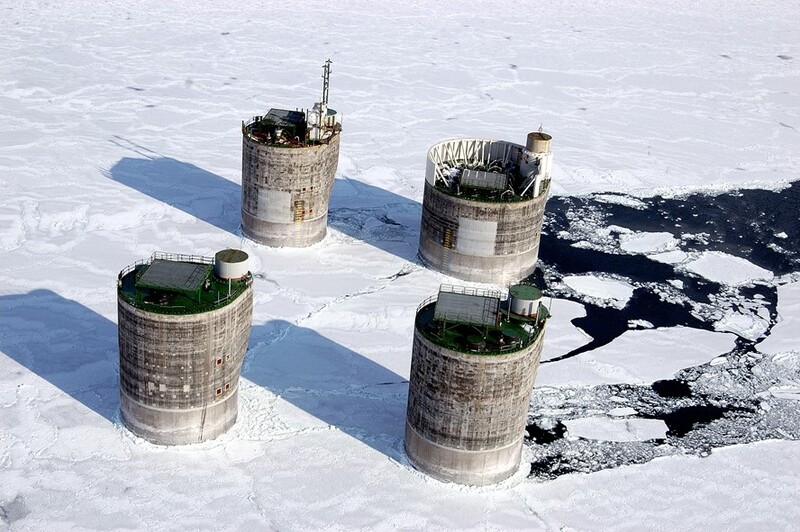 The area is in the Arctic region, in extremely inhospitable waters with a high level of seismic activity. The substructure is built in concrete, which creates a more robust and durable structure and is why it was chosen in preference to steel. 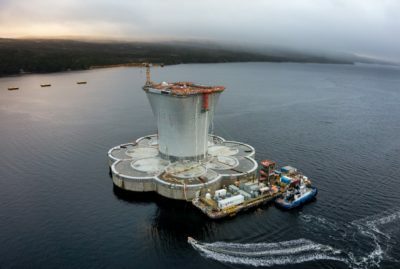 The GBS is made up of a large hollow structure (cross-sectional area 135x100 metres and height of 55 metres) as the foundation, with four protruding columns (shafts) which support an integrated topsides deck housing the drilling, production and living quarters. One of the major technical challenges was created by the cold winters, with temperatures approaching -45 °C and blue ice with a thickness of up to 2 metres. When the ice builds up, it exerts a huge pressure against the structure, and over time, the ice scouring erodes the surface of the concrete. Various measures were evaluated to protect against the ice scouring, but in this instance, the solution chosen in the end was simply to increase the top cover and use concrete of a particularly high quality. As recently as 2013, the Sakhalin region was hit by a big earthquake of 8.3 on the Richter scale, and the platform has therefore been designed to withstand earthquakes of up to 9.0. A great number of advanced analyses and technical assessments were performed to ensure adequate structural capacity for earthquake impacts. 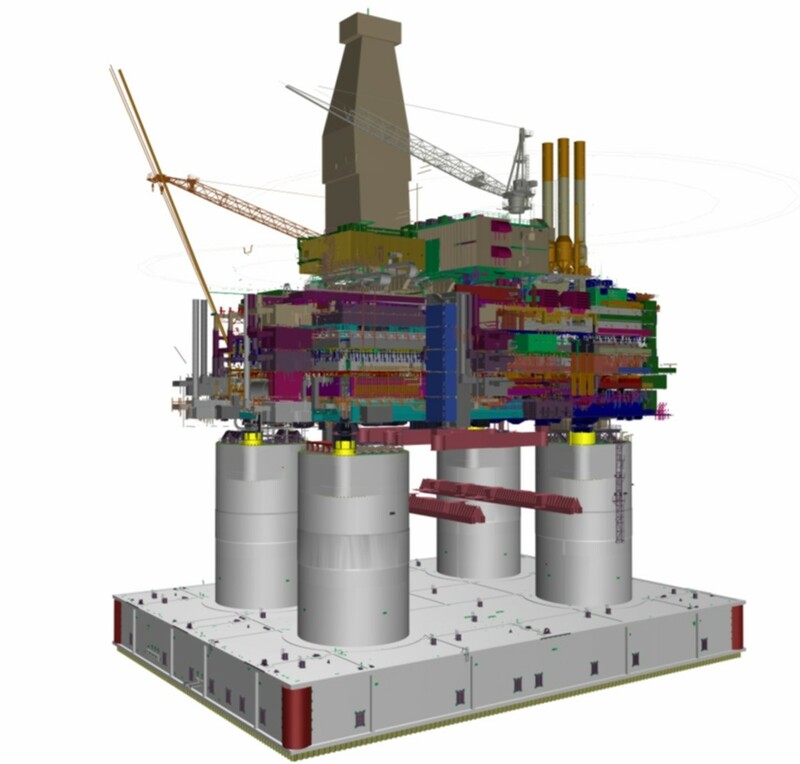 One of the design features which has been developed and used is a special seismic isolation layer between the substructure and topsides. This layer means that acceleration transfer between the GBS and the topsides is dampened. Another challenge in the project was to handle the culture and traditions of Russian construction projects. A platform of this size and complexity requires good logistics, coordination and planning, as well as high quality and precision at all stages. The workers on the construction site were Russian, augmented by hired-in labour from low-cost countries with no experience of large structures of this type. This put pressure on the design team to find simple solutions, and to prepare working drawings that were clear and easy to read. One of the key factors in the success of this project was that everyone, from the workers on the construction site to the design engineers, demonstrated a genuine willingness to understand each other. Openness, respect and communication between all the professions meant that problems were solved as they arose, and that important decisions were properly considered and made in due time, thus avoiding detrimental effects on plans and schedules. The client was very satisfied with the level of commitment, and not least with the fact that the GBS was delivered on time.